Join us Thursday, Aug. 23, 5 to 7 p.m. at Burning Mountain Park in historic downtown New Castle. 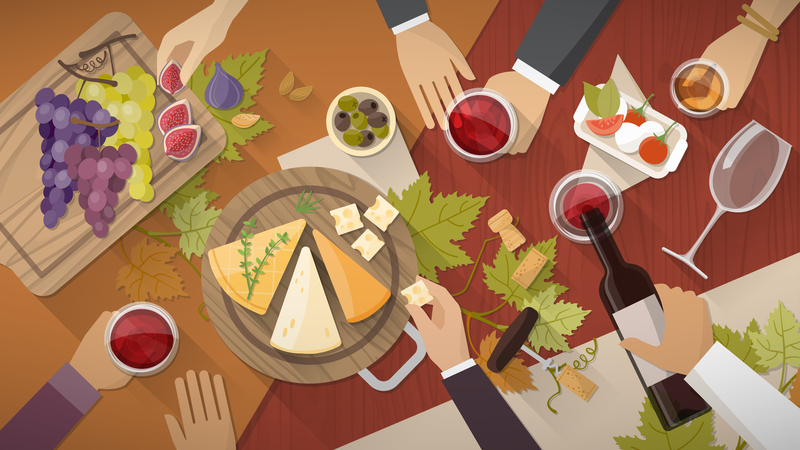 Get your taste buds ready, this is our biggest New Castle Community Market tasting event ever! It’s so big, we’re bringing in outside help. We’ll be there, of course, with a selection of Snow Capped Ciders from Cedaredge and craft beers from Eddyline Brewing in Buena Vista for you to try. 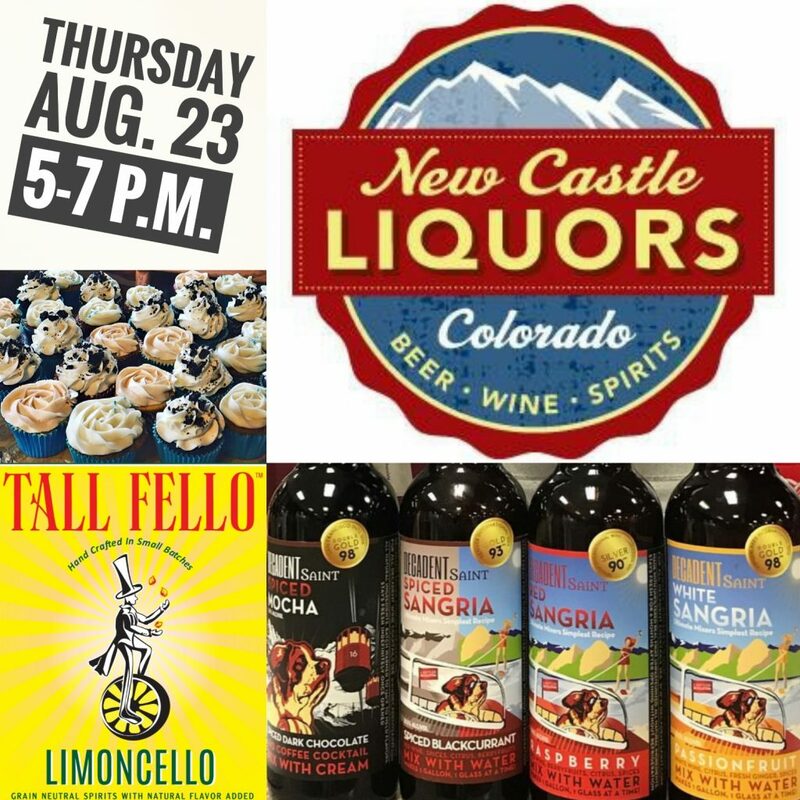 Christopher Hall, founder and maker of Tall Fello Limoncello and Grapefruitcello, will have these fresh and fruity liqueurs to share. They’re made in Glenwood Springs, and he peels all of the fruit himself. You can’t get much fresher than that. Alex Stoica from Decadent Saint Sangria will show you several ways to enjoy these versatile, award-winning wines. Faithfully small-batch produced in Boulder, these 20.5% ABV Sangria Concentrates can be combined with any water, seltzer, ginger beer, spirits and more to make the world’s most delicious Sangrias or cocktails. They’re wine-based with real fruit, fresh spices and are unfiltered and 100% real! Ashley Buerger, owner of Afternoon Delight Bakery in Rifle, is making an encore appearance. She’ll have Limoncello shortbread cookies and Sangria-soaked mini cupcakes. You don’t want to miss these! City Market has been kind enough to donate appetizers to pair with your beverages. This should whet your appetite for dinner later at one of the market vendors or one of the restaurants downtown. All this can be yours for just a $5 donation to the River Center’s Back-to-School Supply Drive. 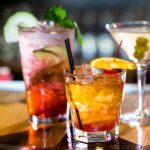 Have fun, taste, sample, imbibe, listen to music and chat with friends—and it’s all for a good cause. But wait, there’s more. You can also enter to win a New Castle Liquors gift certificate, t-shirt or wine tote! You must be 21 or older to enter the sampling garden, so make sure to bring a valid ID. The New Castle Community Market keeps getting better every year, with a wonderful variety of vendors offering freshly prepared food, local produce and crafts, live music and much more. Join us under the shade trees on Main Street. 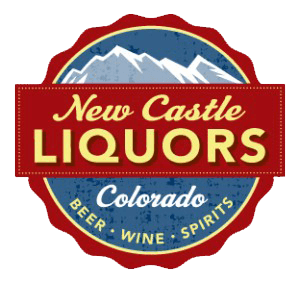 New Castle Liquors is located at 820 Castle Valley Blvd., just off I-70 exit 105 near Alpine Bank and City Market. We’re open 8 a.m. to 10 p.m. Monday through Saturday and 9 a.m. to 7 p.m. Sunday. 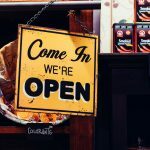 2018 Locals’ Choice Silver Award winner for Best Liquor Store and Best Wine Shop.